A huge pitching performance from a Grant High sophomore. A big home run from one of the Generals' senior mainstays. Plus a lot of little to medium things executed by others in Grant blue. It all added up to a 5-1 victory Wednesday over visiting Wilson, and it left the Generals as the only Portland Interscholastic League team in the Class 6A quarterfinals. Sophomore Kenji Lamdin held the Trojans to two hits — a leadoff double in the sixth and a misplayed pop-up that allowed a run to score with two out in that inning. Grant's lead, thus cut to 3-1, rose to four in the bottom of the sixth, though. Senior Eamonn Quinn led off with a double, and senior Reese Patanjo followed with a home run. 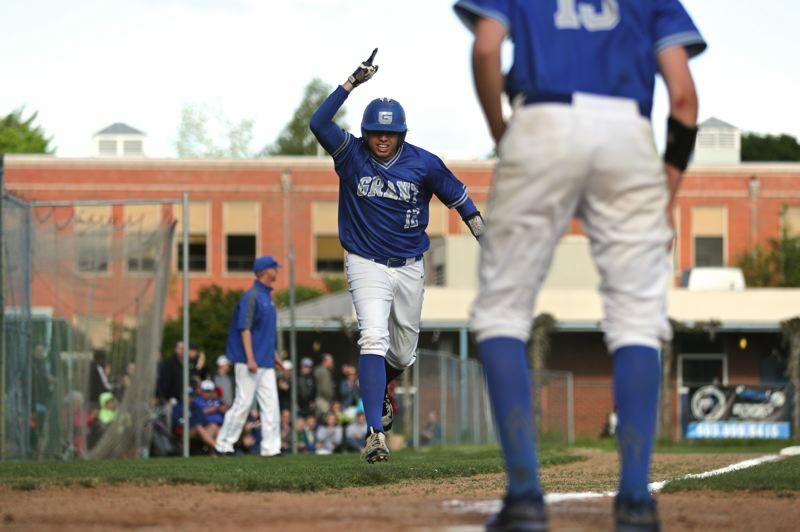 Grant (22-4 and seeded sixth in the playoffs), will go to Eugene on Friday and play at Sheldon (20-7, No. 3 seed) for a spot in Tuesday's Oregon School Activities Association semifinals.